Nicole Johnson is a vocalist and children’s dance teacher in Columbus, Ohio. She was classically trained in voice in High School and at Otterbein College in the Musical Theatre Department. For more information or to hire Nicole, send an email to nicole@nicolejohnsonsings.com. Nicole's CD is Here! Listen Now Order Now! 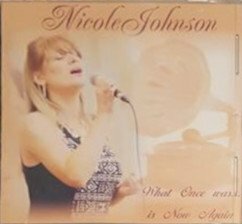 nicolejohnsonsings.com © 2013-2019 -- Created by EWC -- Based on Oblique theme.